The Blue Flag Grotto Beach is one of the most striking South African beaches with its rolling waves and mountainous backdrop. Enjoyed by locals, visitors and whales, it’s perfect for swimming, sunbathing, beach games and long romantic walks at sunset. Fit and adventurous? 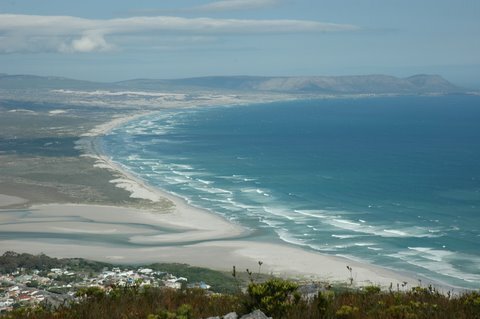 Walk 18 kilometres along the unspoilt and exquisite Walker Bay coastline from Grotto Beach to the seaside hamlet of De Kelders. At Grotto Beach you will never have to share your towel with the person sitting next to you on the soft white sand. You will probably return again and again to this relaxing haven! 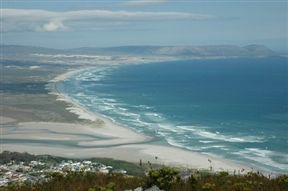 Grotto Beach is 5.3km from the centre of Hermanus , the nearest airport 91.2km (Cape Town International Airport).